eyouthtrack: Sports: News-Editorial: Award-Winning Evansville Photographer: Molly Bartels specializing in editorial, wedding and art photography in Evansville, Indiana. 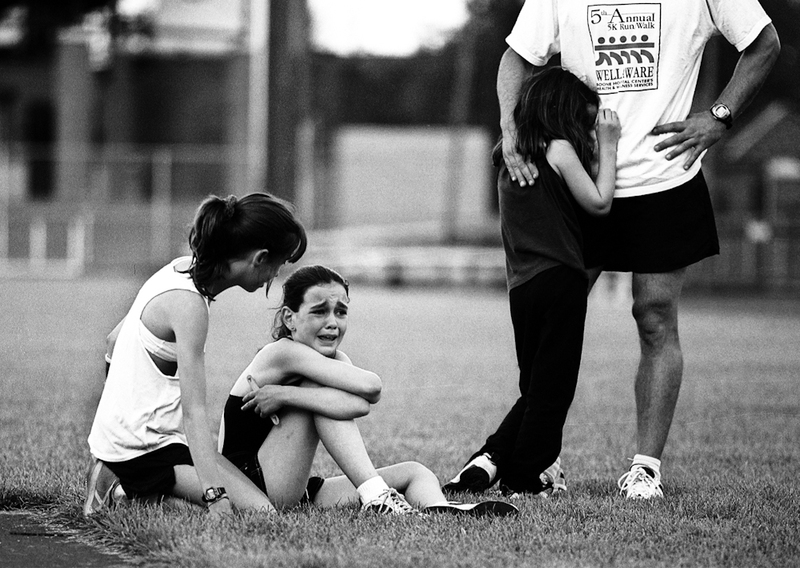 Barely making it across the finish line with a pained expression on her face and clutching her side, this young runner collapsed after the mile race. Columbia Youth Track organizers say that the races are supposed to be fun and non-competititve but this one proved otherwise.